Mr. Duez's AVID Blog: Sophomores: "Road Trip Nation"
1) What do you expect out of Road Trip Nation this year? 2) During the episode we wrote notes and questions that we were unsure about. 3) After the video we wrote a reflection and summary of what we saw. We had about 3 or 4 minutes of the video to watch before it was over when the bell rang. (Bad timing on my part~Mr. Duez strikes again!) So we will watch the last few minutes as a warmup on Friday and then discuss. 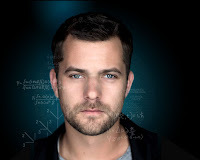 During this episode - from 2007, they interviewed Joshua Jackson. He is personally one of my favorite actors. This interviewed occurred before his current hit show "Fringe." It is one of Mr. and Mrs. Duez's favorite shows. So it was so neat to hear his opinions on his early life and his philosophy. He is definitely a wise man and I think everyone learned a lot from his approach. My name is Annie and I'm actually the Director of Education for Roadtrip Nation! I'm so glad you're getting a head start on viewing the materials in class. You're probably already aware, but we're heading out to Houston on Sept. 24th to train the teachers in your area. Everything will make a lot more sense then...but definitely use the videos in class to get the students started thinking about the concept of defining their own roads in life. We appreciate your enthusiasm!!! Looking forward to meeting you. Thanks Annie. I look forward to meeting you.